Rust? Me? How dare you! Christopher Nicholl, managing director of Alfa Romeo UK and Germany, hopes to sell 5,000 units of the Mito this year. 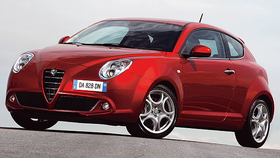 If he hits that target, the Mito will account for more than half of Alfas expected UK sales in 2009.